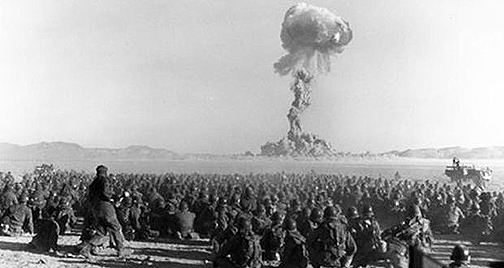 America’s New Mexico state saw the birth of nuclear weapons 70 years ago at the Trinity test site, where the world's first ever atomic explosion occurred. That was on July 16, 1945. Less than one month later, the bomb was dropped on Japanese cities Hiroshima and Nagasaki wiping out some 200,000 lives in an instant. But the anti-dumping campaigners are up against the formidable US military-industrial complex and what they call a "genocidal ideology" in the east coast Washington political establishment. 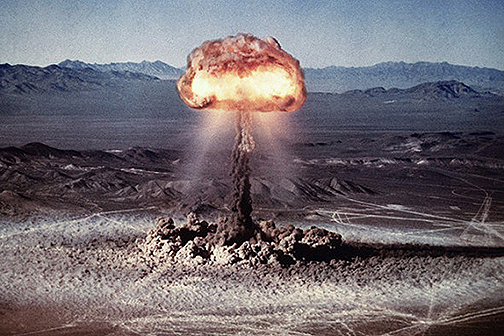 If plans go ahead, as seems likely, New Mexico will become the sole depository for the most dangerous of all radioactive waste in the US. "The trouble is that New Mexico has been enslaved to the military-industrial complex," says Martin. "Our relationship to the industry is from the cradle to the grave. This is where nuclear weapons technology was created and tested, and now we are being left with the task of burying its toxic waste." Advocates for the expansion of nuclear-waste dumping in New Mexico appear to have a strong suite of arguments in their favour. The state is one of the poorest in the whole of the US; therefore the development beckons jobs and a boost to local government coffers. There is also a onerous psychological pressure on communities to be "patriotic" in helping to serve the nation’s military. Moreover, since the Second World War, New Mexico has become so entwined with the US military that it seems extremely difficult to live without it. The historical background of colonial conquest is another telling factor. New Mexico was long considered by the Washington establishment as backward "Indian territories." The modern state of New Mexico was only formed in 1912. Prior to that it was known simply as "The Territories" - a vast borderless hinterland populated by native American tribes. The Apache Wars were being waged by the newly formed United States up to the late 1800s – only 70 years before the Trinity test explosion occurred in 1945. During those wars, the Apache tribes were among the last native Americans to be conquered in brutal campaigns of extermination. 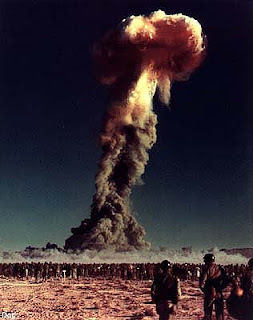 It is no coincidence then that the "worthless deserts and conquered people" of New Mexico would be later selected by the Washington establishment as the test site for the first atomic weapon. It must be recalled that even the scientists of the Manhattan Project were not sure whether the nuclear explosion would result in a catastrophic atmospheric reaction within New Mexico and surrounding US states. 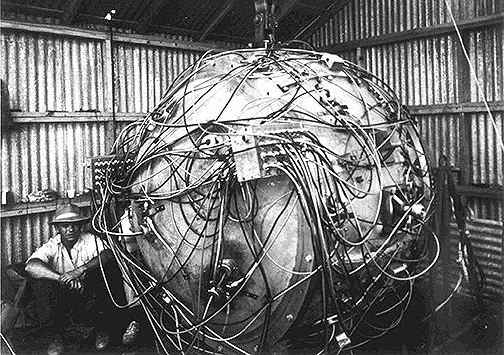 Randy Martin, the campaigner, says that horrific atomic experiment at the Trinity site in 1945 was born out of the "genocidal mentality" that the Washington government retained from the earlier conquest of native American tribes. "That genocidal mentality persists to this day." says Martin. 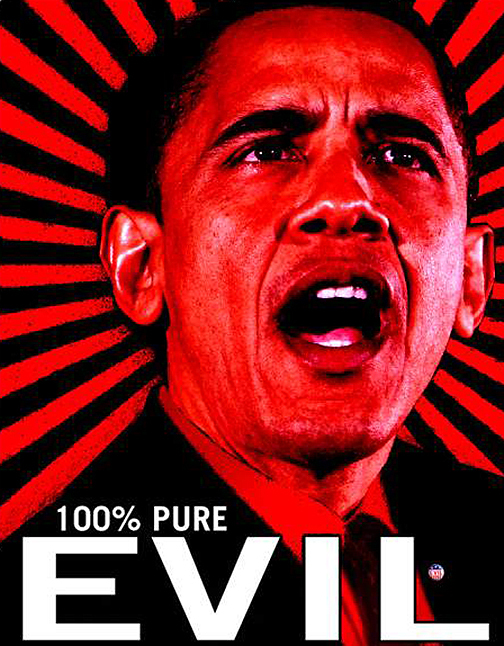 "The United States government and its military-industrial complex unleashed the horror of nuclear weapons in this part of the country because they saw it as a conquered territory containing conquered people. 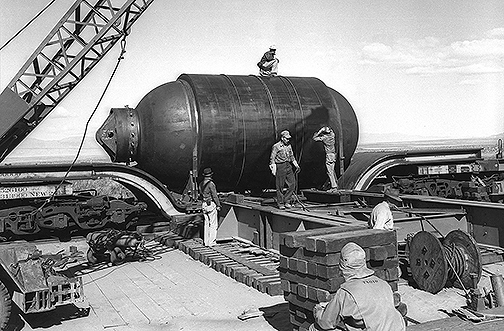 Today, the Washington establishment and its ilk still view New Mexico as a place where they think nuclear problems can be buried and forgotten."